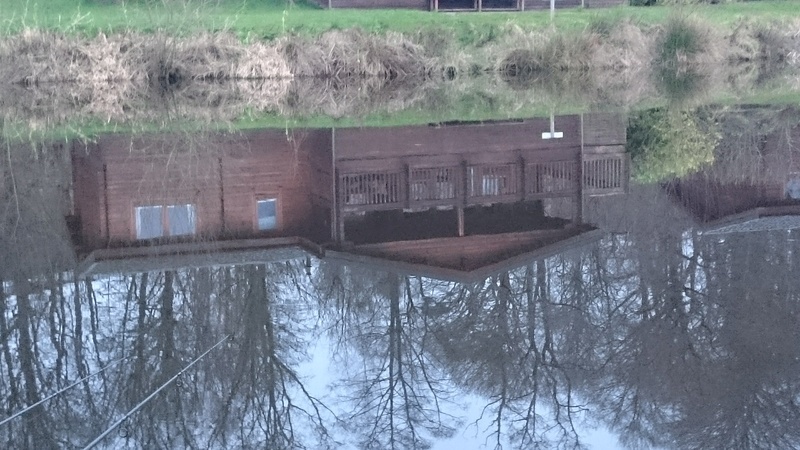 As a Birthday present the Mrs bought a weekend away at a course fishery, with specimen carp, in a Lakeside lodge. Brilliant 1 thought, then noticed the date February 17th 2017 for Friday to Sunday. 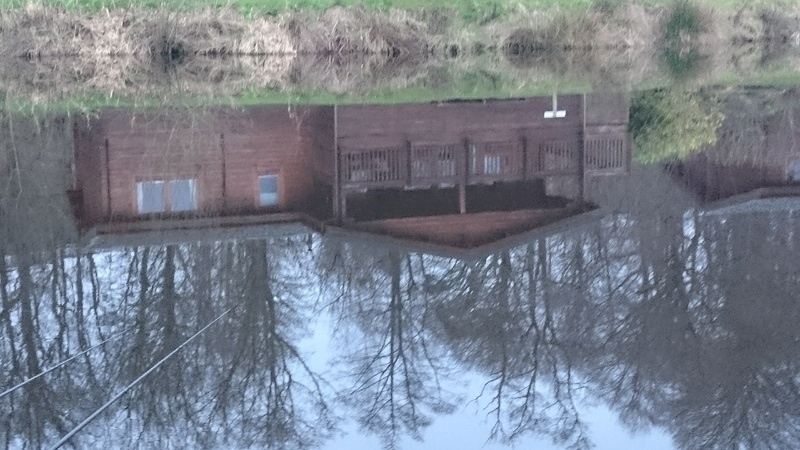 Not the best time of year for carping. 2 Weekends before great weather and temperatures up. Looking good for some nice carp. Weekend before wintry weather with snow!! That's definitely going to slow things up. 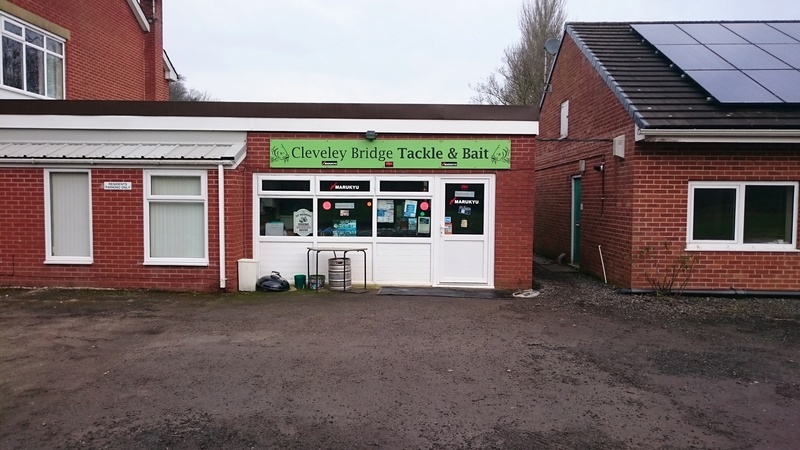 On the Tuesday before the weekend while working in the area decided to pop into Cleveley Bridge Fishery and have a look around. Located approx 3 miles from J33 of the M6 in a little valley close to Scorton village I was met with a fallen tree blocking the road to the fishery. . With the road blocked any way I decided to dump the motor and walk down . 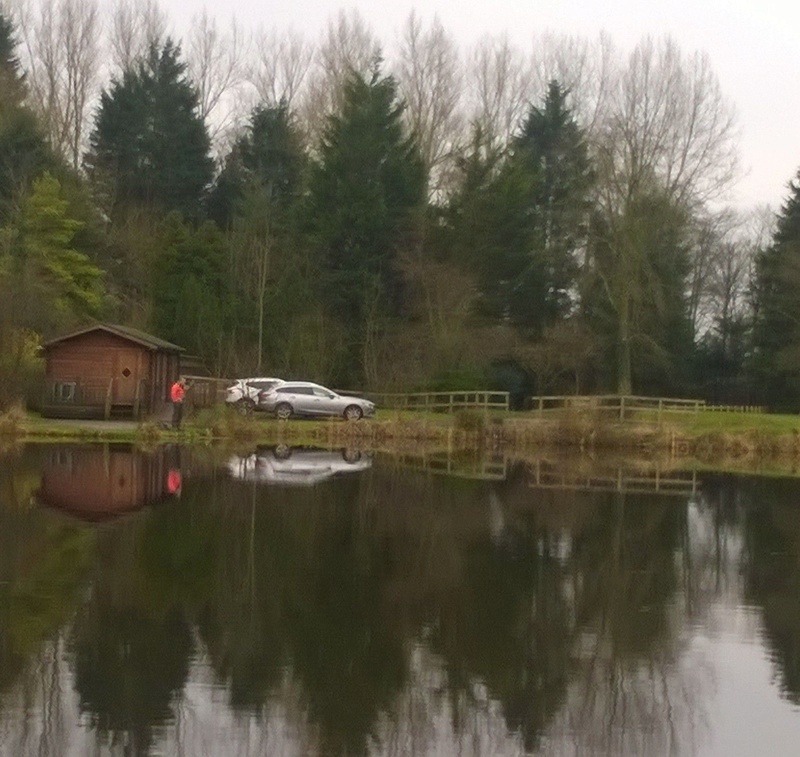 Had a chat with the bailiff and fish had been coming out all weekend during the cold snap 30 odd carp to 26lbs. 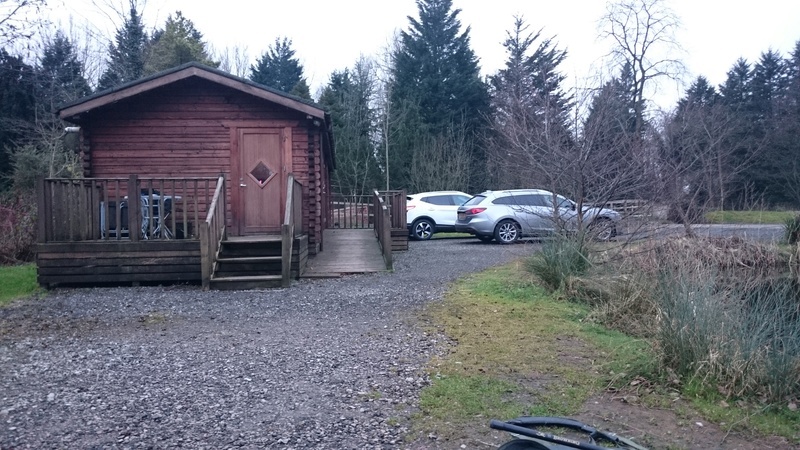 So had a walk round the specimen lake and the course lakes and found the lodge we were to stay in, which came with peg 1 exclusively. 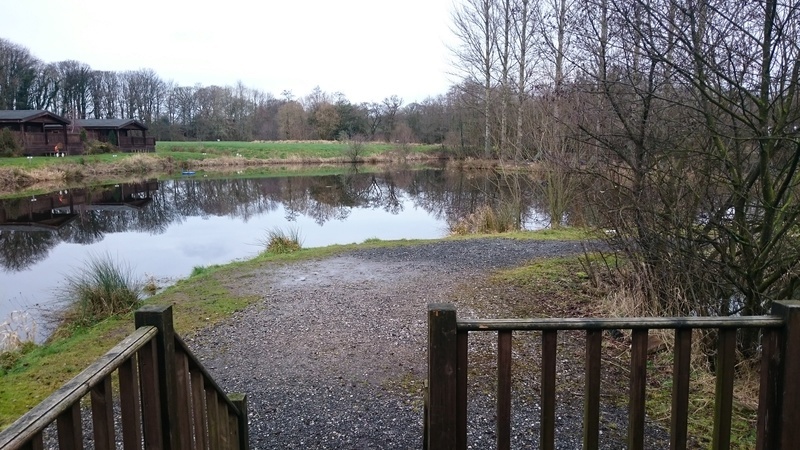 Walked back to the car confident and looking forward to a weekend of carp and course fishing with the family. s, Friday was here . The Mrs and Sienna landed around 4:30, had the chairs waiting but Mrs decided to unpack and stick some food on, Sienna came and sat down and asked many inquisitive questioned about how I was going to catch fish and when. When was the main question on everybodies mind! Friday night came round and line knock after line knock all through the night, me jumping up thinking this was gonna be the run Wasn't to be and nether was Sat morning. So to keep Sienna interested decided to rig a float rod up, got some maggots from the on site tackle shop very basic but all the necessary rig, bait bits. No saw dust thanks got some Sticky active mix for the maggots. Turn them nice and sweet (was thinking about the evenings carp fishing). Sienna was a little scared of the maggots at first but after watching me throw a few she soon came round and started feeding her swim. Low and behold after dozens of misses she caught her first fish a nice roach. Forgot species hunt card which was in with the sea tackle. Unfortunately that was the only 1 caught, but she was buzzing and keeps asking to go again. 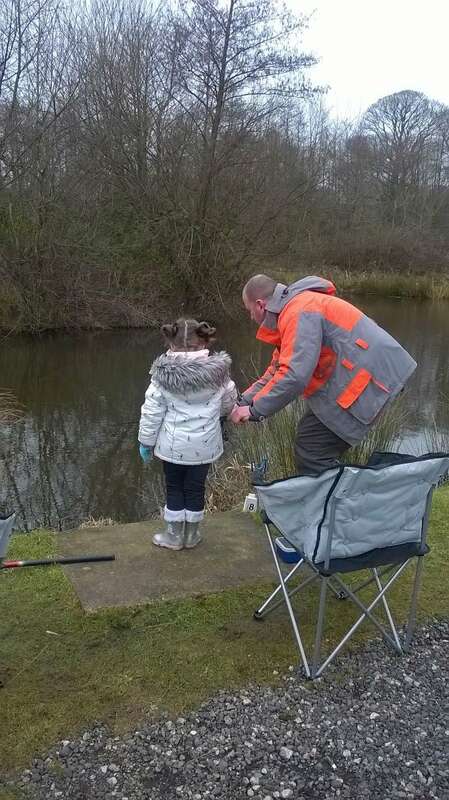 (Great got the little one interested which means plenty more fishing trips for both of us and outdoors so no complaints from the mrs, everyone's a winner). Saturday was very much the same as Friday but less line knocks. The only bonus was only 1 foul hooked carp had been out at that point all weekend, so it was just me being a crap fisher of man. We had to be out of the lodge by 10am Sunday morning with only Sienna catching the only fish of the weekend. 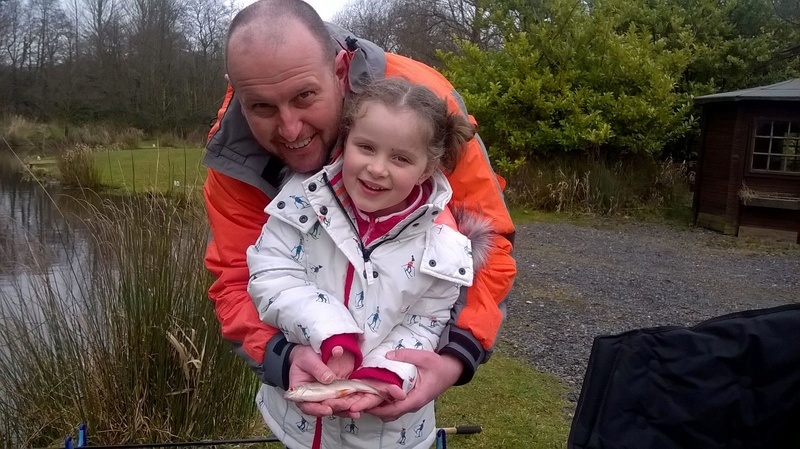 The mrs decided to take Sienna straight home and leave me fishing the course lakes, which was still included in the price we paid. So half a pint of maggots to drown and some carp bait left over I decided to pinch the tin of sweet corn and over feed swim and get every fish and their fins feeding in my swim! Well it worked roach from the off on a float rig. Set a small feeder up and left it to basically fish itself. 4hrs of course fishing and plenty of roach and bream to turn the weekend round . 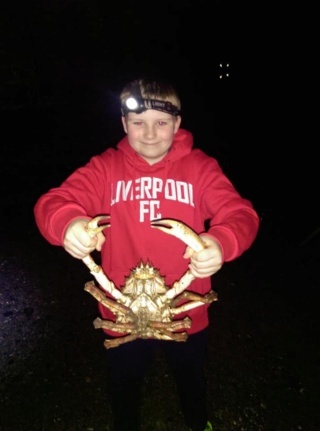 The only thing was I left my phone in the car Would the mrs believe me I didn't really care used all bait, drowned all the maggots and was in the end very happy with my Christmas present. Had a quick walk round the specimen lake and still no carp out!! Unfinished business I'll be back!! Great report and pictures shame more fish didn't show up, but youv'e found a nice spot there. Looks a great place for a hol! Nice birthday present! 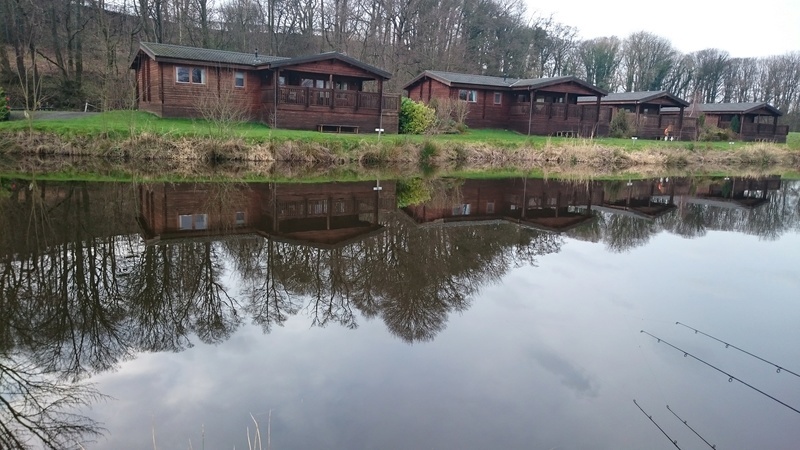 Looks a great place for you campers carp fishermen.